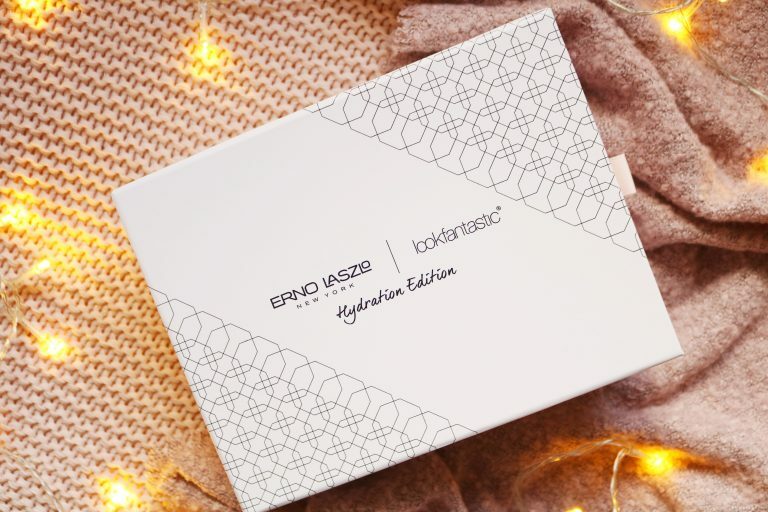 Today’s subscription box review is of the new limited edition Erno Laszlo box from LookFantastic for January 2019. Sadly, this box is now sold out which isn’t surprising as the box is amazing value for money. The box was priced at £60 but the value of the contents was a whopping £198! LookFantastic have some of the very best limited edition beauty box, in my opinion so look out for the next one. 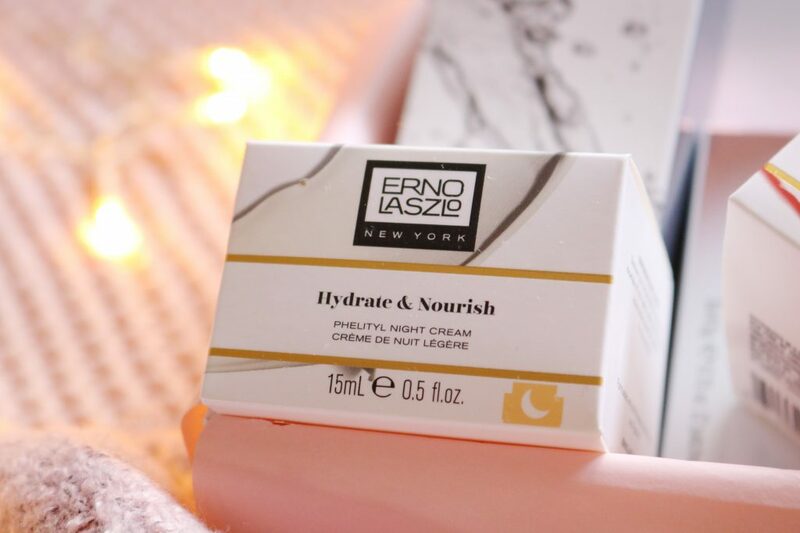 The first item I picked out was the Erno Laszlo’s first product. The ‘light controlling lotion’ is an iconic product from this brand and it has amazing reviews online. 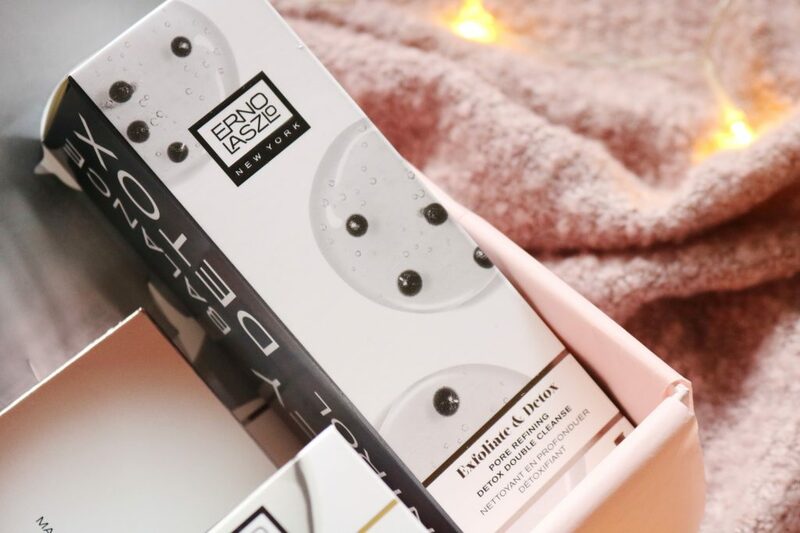 Firstly, I wanted to mention the box and packaging, I love everything about the design of this box and the product packaging – I think it looks sleek and minimal! The toner claims to instantly reduce shine, remove pollutants, controls excess oil and tightens pores while adding hydration. It sounds like the perfect toner for those with oily or combination skin but mine is extremely dry so I’m not sure that this will work for me during the winter months. However, I think toner would be perfect for my skin for the spring and summer months. The cream claims to replenish fatty acids, seal in moisture and plump the skin. The Phelityl complex matches the skin’s pH to balance the skin as well. For me, the cream has a slight sun cream scent, it absorbs very quickly and it leaves my skin incredible soft, smooth and well moisturised. My skin is so dry recently that I’ve been using this every morning and night. 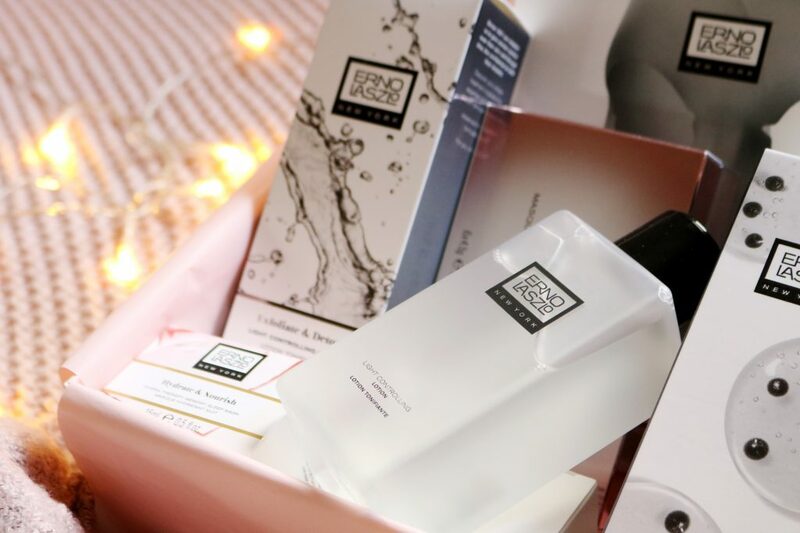 I love how many full sized products are included which this box and the range of items as there are all of the skincare steps you need in one box. One of the more unique looking items from the limited edition box is this cleanser which looks a little odd. It looks like it contains beads (which I thought were banned?) that are composed of charcoal which is a great skincare ingredient for detoxifying the skin. I haven’t tried this cleanser yet but it sounds promising for those days when my skin feels clogged and dull. Out of the products I’ve tried so far, this one has to be my favourite! I haven’t tried a mask that you leave on overnight before and it was a strange experience as I didn’t want to get any mask on my pillow but the results were worth it. The mask replenishes the moisture your skin loses overnight, boosts collagen and hydrates the skin. I tried it the first day I received the box as I was so excited and I wasn’t disappointed. 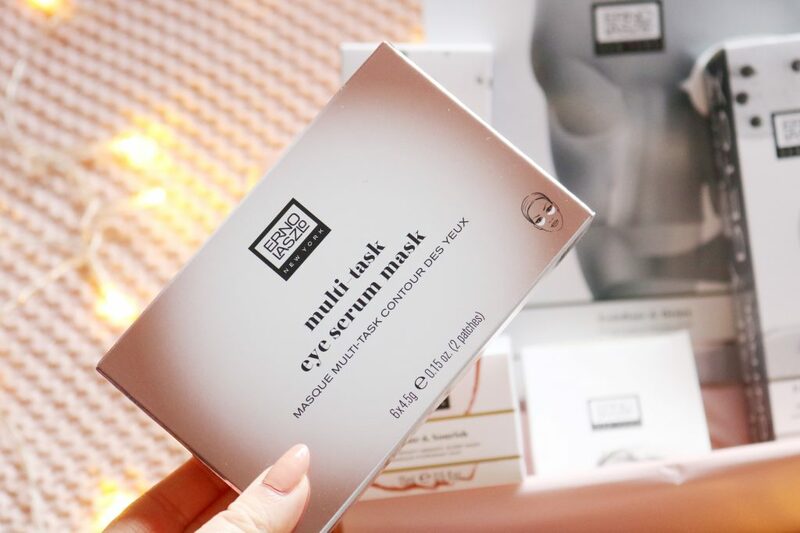 The mask has a lovely gel like texture, it doesn’t irritate my sensitive skin at all and in the morning, my skin was extremely smooth, soft and hydrated which makes a great base for my skincare and makeup. The penultimate item is a pack of their Multi-Task Eye Serum Masks which claims to fight fine lines, puffiness, wrinkles and dark circles. I do have fine lines and dark circles (sadly) but I also have very sensitive eyes thanks to eczema so I might not be trying these as I don’t want to potentially trigger my eczema, although the night cream and sleep mask haven’t irritated my skin at all. 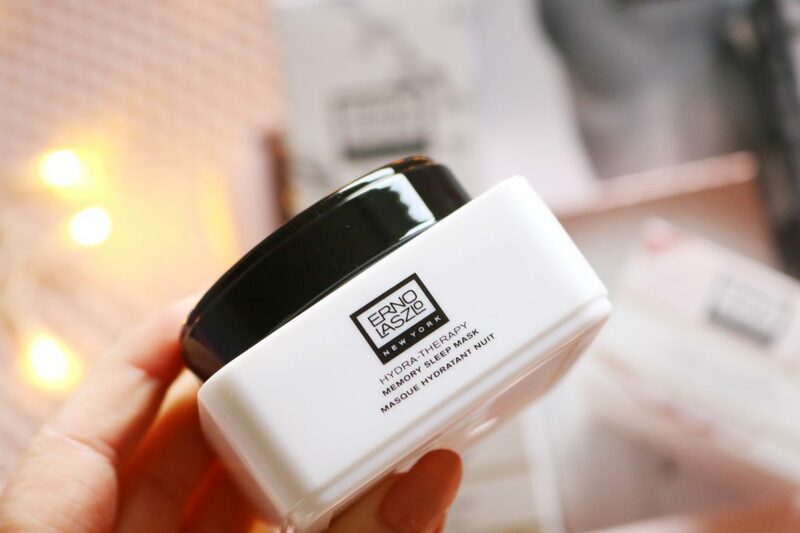 Last but not least is the full size single use face mask which is an innovative gel mask that removes dead skincare, detoxifies the skin and delivers antioxidants. I haven’t tried this product yet as I’m not a massive fan of sheet masks but I will define give it a go as it sounds amazing. After months of central heating and cold temperatures as well as christmas stress, I think my skin needs some detoxing! Overall, I can see why this box sold out so quickly as it's incredible value for money and there's a great range of items. My favourites so far have to be the night cream and the amazing sleep mask, both of which I'd highly recommend for those with very dry skin.